1. Mary BUTTERFIELD married Samuel Saltus INGHAM on 19 December 1802 in Paget, Bermuda. She died on 7 July 1809. She was buried in Pembroke. She was buried on 7 July 1809 in Pembroke, Bermuda. 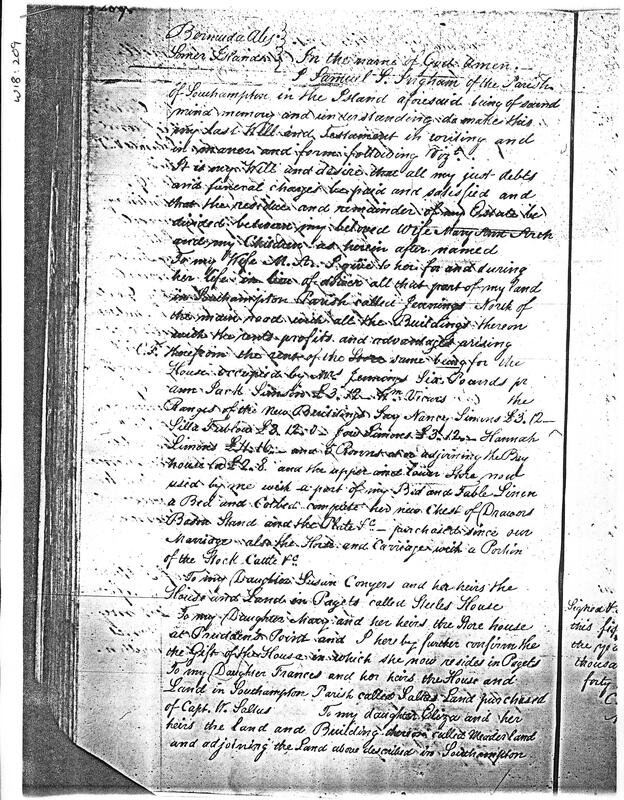 Reverend Ewing's register records a Samuel Saltus Ingham married to Miss Mary Butterfield in Paget on the 19 Dec 1802. His register also confirms the burial of a Mrs Mary Ingham in Pembroke on 7 July 1809, but I can find no confirmation that this was Samuel's wife. However, it is noteworthy that the two eldest children appear to be Mary and Susan Butterfield, suggesting that they were children of this first marriage. Mary was married to Edward S Frith at "Dudley", Paget, on 2 Sept 1830 by Archdeacon Spencer. Susan was married to Charles Conyers at "Dudley" on 18 Jan 1825 by Reverend Hoare. Susan was reported in the newspaper as the eldest daughter of Samuel S Ingham.